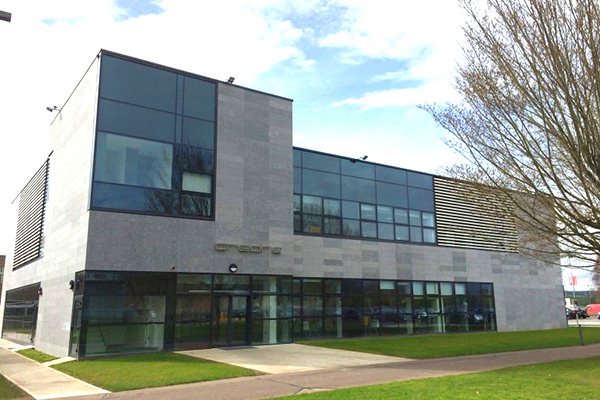 CAPPA is a research centre of Cork Institute of Technology, conducting both applied and fundamental research on photonics for applications in areas as diverse as telecommunications, medical devices, food, beverage and pharmaceutical manufacturing. CAPPA works in the area of photonics generation and manipulation of light, and a major strand of CAPPA’s activities focuses on bringing the benefits of photonics technology to a diverse range of industry partners. What is CAPPA Technology Gateway? In September 2006, the Photonic Device Dynamics Group was established. The group’s research was based on Principal Investigator funding from Science Foundation Ireland, with a strong track record in the understanding of semiconductor laser physics and photonic devices. In 2007, the group was awarded funding from Enterprise Ireland to establish an Applied Research Enhancement centre, with a specific remit to provide photonics solutions to regional and national industry. The centre was given the name Centre for Advanced Photonics & Process Analysis (CAPPA). On 23rd October 2008, CAPPA was officially opened by Dr Jimmy Devins, Minister for Science, Technology and Innovation. Over the next 10 years, both the industry-targeted activities and the academic research of the group continued to strengthen and expand, developing links with over 100 national and international companies, publishing over 90 journal papers, working with 11 of the top 100 universities internationally and achieving over €8 million in funding, including a number of European FP7 and Horizon 2020 projects. In 2013, the group was awarded funding for a CAPPA Technology Gateway. In 2014, the CAPPA name was rebranded as the umbrella title for all the group’s activities, combining both the fundamental science and industry-focused research strands of the group, as well as consolidating activities based on the main CIT campus and within the Tyndall National Institute. In May 2014, CAPPA moved into the state-of-the-art CREATE building on CIT campus which was funded by the Higher Education Authority. From 2014 to 2018, CAPPA continued to grow on both a national and international level. During this period, CAPPA began working on additional academic and industry-led projects. In 2018, CAPPA received additional funding from the Technology Gateways for the period 2018-2022 and is one of seven gateways involved the Irish Food Tech cluster. What technology is used in CAPPA? The centre focus on optics and photonics, including light and light-based systems with the addition of automation and data analysis. What type of facilities are provided? A wide range of facilities is provided onsite, including a Femtosecond Physics Laboratory, a Laser Dynamics Laboratory, a Photoluminescence Spectroscopy Laboratory and a Scanning Electron Microscopy Laboratory. We use a variety of techniques including Energy Dispersive Spectroscopy (EDS), Microscopy – including FT-IR and Raman imaging, Environmental Scanning Electron Microscopy (ESEM) and Hyperspectral Imaging, to name a few. How many companies have CAPPA worked with over the past 5 years? CAPPA has worked with over 100 companies including start-ups, SMEs and MNCs in sectors such as food and beverages, medical, pharmaceutical, consumer electronics, telecommunications and photonics. What regions does CAPPA work in ? CAPPA works with companies from all over Ireland and collaborates with academic partners worldwide. To find out more about CAPPA, check out their page and follow them on Twitter and LinkedIn for all the latest news and events!